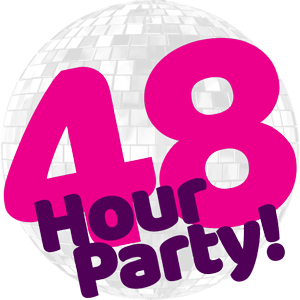 48 Hour Party Test Page | 48 Hour Party! Access to Live Music Venues & Accommodation. Access to Resorts Restaurants, Takeaways & Bars. Performances from 90’s Legends & Amazing Tribute Acts. Relive the party with 90’s legends at this unmissable weekend! There are brilliant headliners and supporting acts, plus some amazing tributes all performing under one roof in an incredible show you’ll never forget! There’s late bars, restaurants and takeaways plus access to our live music venue and all facilities and plenty of fun activities taking place throughout the day, what better way to spend the weekend!? These are an Adult only events, all guests must be 18 years or over. All places, upgrades & supplements are subject to availability at the time of booking. From £79 per apartment based on 2 people sharing a 4 Berth Popular apartment staying on the 19th June for 3 nights Self Catering at Southport Holiday Park. 3rd night is a stay over with no named featured acts. No Sunday daytime entertainment is provided. Sunday night live evening entertainment is provided by the holiday reps which will include karaoke, fun & games, quizzes, live show time and 90’s disco. All options are based in upper floor apartments, ground floor accommodation can be guaranteed for a supplement of £10 per break – ask at time of booking. Accommodation upgrades are available please ask at time of booking. Bed Linen, Towels & Electricity are not included. A valid Wowcher Voucher is required to process your booking. Voucher must be redeemed by 15/05/15 no refunds permitted after this date. ‘Redeemed by’ means – date holiday must be booked by.